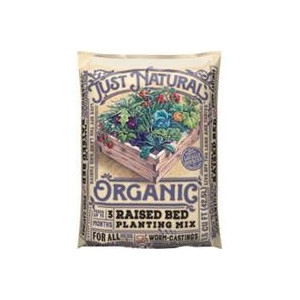 Just Natural Organic Raised Bed Planting Mix 1.5 Cu. Ft.
An all-natural soil mix specifically for raised beds! Good for herbs, vegetables, flowers and more; with worm castings for a rich soil structure.